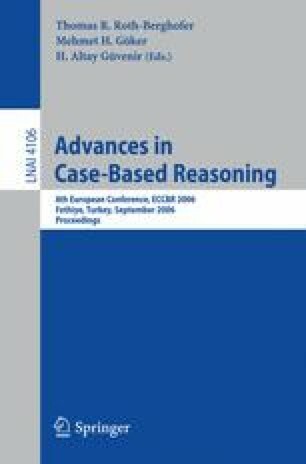 This paper describes our work in textual Case-Based Reasoning within the context of Semantic Web. Semantic Annotation of plain texts is one of the core challenges for building the Semantic Web. We have used different techniques to annotate web pages with domain ontologies to facilitate semantic retrieval over the web. Typical similarity matching techniques borrowed from CBR can be applied to retrieve these annotated pages as cases. We compare different approaches to do such annotation process: manually, automatically based on Information Extraction (IE) rules, and completing the IE rules within the rules that result from the application of Formal Concept Analysis over a set of manually annotated cases. We have made our experiments using the textual CBR extension of the jCOLIBRI framework. Supported by the Spanish Committee of Education & Science (TIN2005-09382-C02-01).